HEVC is short for High Efficiency Video Coding, we also call it as H.265. It is the new successor to H.264 allowing you to compress high-quality videos to smaller file. This latest video format is developed by Apple Inc, so if want to HEVC on both your Android device and PC, then you may need the help of a HEVC Android player. But there are a wide range of HEVC Android players on the market, it is a little bit to pick up one that is right for you? No worries, here we have rounded up top 3 HEVC/H.265 player for Android 2018 and something about their characteristics and cons so that give you a better idea of which one you need. MX Player is the best Android media player available on the web right now. It supports almost all the major video file formats like MP4, 3GP, AVI, FLV, MPEG,HEVC and more. With this powerful video player, you can watch practically any film no matter what the format is, on Android device as well as PC. The excellent Android video player even supports multi-core decoding, taking advantage of more powerful Android devices. Also, it supports pinch gestures like Zoom in and Zoom out feature which can be accessed even on a playing video. With the user-friendly UI, easy-to-use interface, MX player has become the most famed video player which are available on the web. It is so slow when playing videos over network after update. It lags and is constantly buffering. The playback of a particular video depends on your device’s hardware. 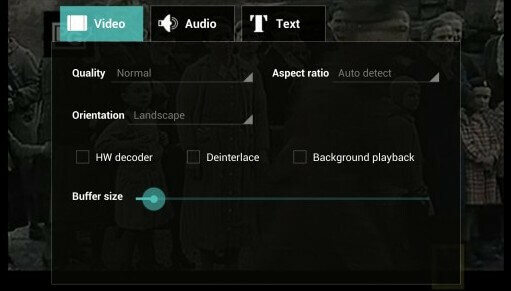 It doesn’t to play x265 coded videos on a very cheap/old Android device using MX Player! VPlayer for Android is the powerful video-playing app for Android which supports almost all popular video formats on your Android phone or tablet, including AVI, MOV, MKV, FLV, AVI, 3GP, 3G2, ASF, WMV, MP4, M4V, TP, TS, MTP, M2T, HEVC, you can even play HEVC videos on Android without a problem. Meanwhile, equipped with hardware acceleration, it can play back HD videos at fast and smooth speed with unparalleled ease and comfort. Actually, this amazing video player cannot only play any type of video you have on your device, but also plays YouTube videos. Among so many available feature, the subtitle options particularly stand out. You are allowed to freely load any subtitle file and even change its font size and color, shadow, etc. Although VPlayer Video Player claims it as free video-playing app, it's not really free. You only have seven days to try it out. If you have a HEVC video file that won't play on your Android phone or tablet, give Mobo Player a try. MoboPlayer is a lightweight yet functional Android video player providing a wide range of video formats, including popular ones such as Xvid, MKVs even the Apple developed HEVC that it supports so that you can play and watch HEVC and other HD videos on your Android device. With this excellent Android video player, you are also allowed to add subtitles easily, which makes it easy to watch foreign movies or TV shows. Another outstanding feature needs to mention in MoboPlayer is the ability to create playlists and play entire folders. 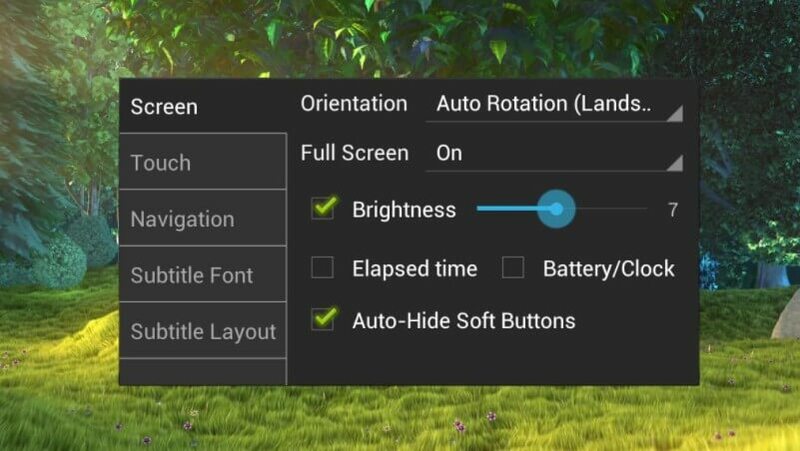 Just because of this option, you can continuously watch the entire seasons of TV shows on your device without even having to touch the screen. It’s not user-friendly piece of software owning to the bad translation. If you're device isn't very powerful, the HD might make it run slower. So there you have it, 3 best HEVC video players for Android. But one thing you need to pay attention to is they can only play HEVC videos on limited Android device. If your device is not included in it and want to watch HEVC video on your Android device, then we will suggest you to transcode the H.265 format to the all Android supported H.264 first. Here, you might need the help of a powerful video converter. Adoreshare Video Converter Genius could be your best choice, which is a professional video converter to transform video files easily and instantly from one format to another. So do not hesitate to get one and try it out. Copyright © 2007-2019 Adoreshare Co.,Ltd. All Rights Reserved.